A large, battery powered automatic fish food feeder, suitable for continuous use or for holidays. Caters for all sizes of pond with its accurate and adjustable feeding mechanism. 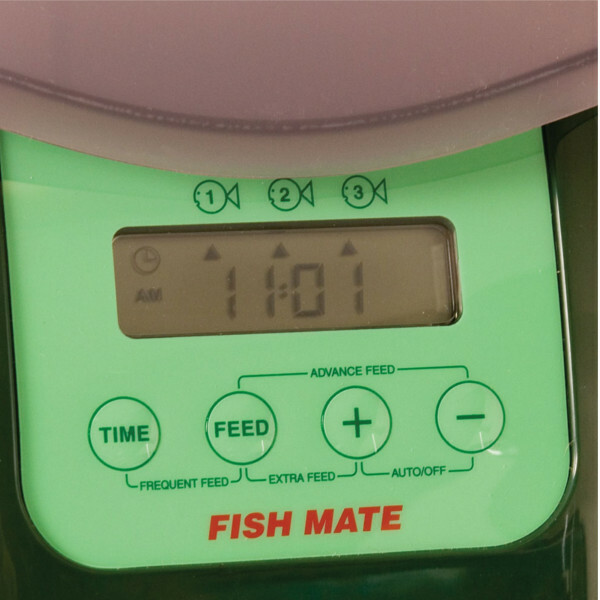 It is important to your fishes' health that they are fed regular controlled portions in order to maximise growth and vitality, without the risks of overfeeding. 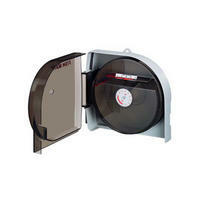 Variable feed sizes are dispensed at times programmed by you or on demand at the touch of a button. 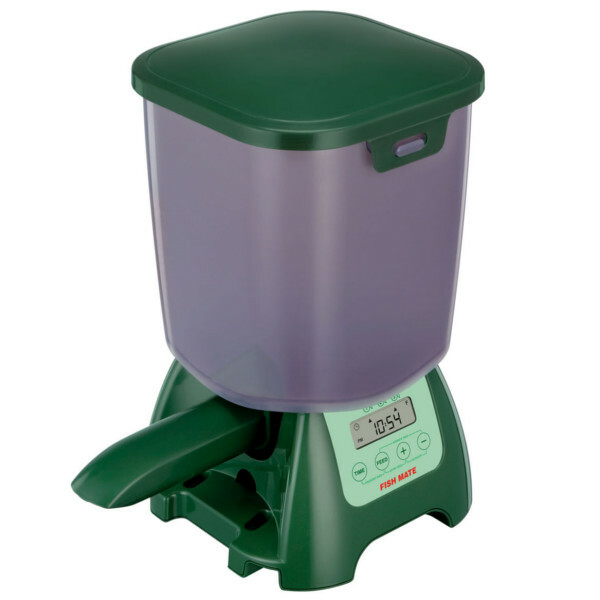 Ideal for holiday feeding, the feeder's green colour blends harmoniously into the garden environment.